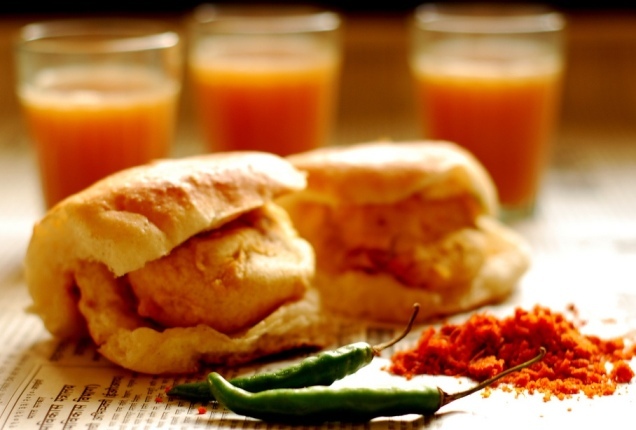 Vada Pav is a meal for thousands of commuters in Mumbai who are always on the move. A decade ago Vada Pav was sold on small stalls put up in some corner of a railway station, Bus Stops and prime location. There was no branding for this dish neither standardization. However Jumbo King changed it all. Jumbo King has evolved into a business with more than 60+ franchisee outlets in India providing customers with standardized products throughout the country. Moreover, the company has strived hard to advance from a mere Vada Pav seller to a franchisee equipped with modern kitchen, modern friers with timers and a variety on their Menu Card. 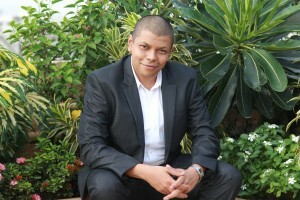 Dheeraj Gupta, Promoter, JumboKing talks about how presence over Social Media helps them to connect with the customers. How do you plan the content strategy for Jumbo King and who manages your social media presence? Is it an in house function or do you have agencies managing this? All strategy starts with positioning- as a brand, our positioning for Jumboking is simple- we spread happiness on the move. All our content is tailored around that. We do two big events every year- In 2013, our first big event was Vada Pav day, which comes on 23rd August. Last year, we also did our 100 millionth Vada Pav countdown- which was a huge success. This has been our greatest achievement. We hire external resources for execution – but the strategy is ours. One would not imagine that a Vada Pav chain would have social media presence. Why did you feel the need to be on social media and how have you used it for branding? Being a Vada Pav chain makes it all the more important- we are the first ones to have branded and standardized a product so dearly loved by the youngsters of India. 65% of all our customers are in the age group of 15 to 25yrs. We believe that 100% of them are using social media. Hence it makes perfect sense to move with our consumers and catch them where they are. Today, social media helps us to target out audience and define it well. How important is it to connect with your customers via social media? Who is your target audience? We serve customers who are on the move. We are located in high footfall areas. The customer is aware of the brand, but the interaction is very brief. Social media helps our customers understand the ethos of the brand and have longer interactions with us. Being a Mumbai based food chain, do you have takers for your brand from other cities online and offline? How do you use social media to talk to targeted audience? Being a Mumbai based food chain is an advantage. We are operating in the city where real estate cost is the highest. Also, Mumbai is aspirational for most of the other cities in India, hence Vada Pav and Jumboking have aspirational value in these cities. Can you highlight a few campaigns that you have executed on social media? Our ‘Bollywood Vadapower’ campaign has received a very good response on social media. How much of your sales do you attribute to social media? This is hard to quantify. Our consumers are 13 to 35 and on the move. We are very clear in our mind that with a 50 lakhs per annum budget we will reach more of our target audience, using social media. – than we will using traditional media. That is not to say that we don’t believe in traditional media- India is still making that transition. On a scale of 1-5 (5 being highest) how to prioritize your objectives; sales, recall, branding, conversations, consumer insight. What are your other objectives through this marketing medium? How much of your marketing spend is allocated towards social media? What are some of the most important platforms that you must be present for you to engage with your customers the most? How do you gauge these? For us the important platforms are Facebook, Twitter, Youtube in that order. Agencies tell us that we must also move to Instagram and Pinterest. We have to follow our customers – and we are learning. Food being one of the most popular topics on social media, is it easier to be on these platforms? It’s not so much about food as it is about the age group of the target audience. Jumboking is innovative and some of our products would classify as inventions. Naturally, they result in conversations. What are your social media measurement metrics? We are still new to this medium and believe that we will understand this media better over time. At this stage for us it is pure instinct that Social media is the right media for Jumboking to take its message to its audience. Social media has potential, but each of the platforms, whether Facebook or Twitter have their own revenue models. We are learning how to operate within this and optimise our reach and interactivity.